More and more schools nowadays give their teachers with some type of electronic device, be it a laptop or a tablet, to incorporate technology in the classrooms. However, most school provided laptops tend to be Chromebooks or slow cheap laptops that you’ll certainly hate using. Also, some schools simply don’t provide their teachers with a laptop, in order to reduce costs. If you’re a teacher looking for a good laptop to use for school things, then you’re on the right page; we are here to help you narrow down your search. Let’s find out about the points you should be looking for in a laptop for school, and check our list of some of the best laptops for teachers in 2018. What to consider when choosing a laptop for school? There is no specific type of laptops for teachers, choosing the right laptop will mostly depend on what you teach, and your personal requirements. There are however general requirements that you should always take into account when buying a new laptop, but also a few features/ that you might want your new laptop to have, depending on the school you will be teaching at. General requirements: For a new laptop, we recommend that you pick a model with an i5 Intel processor, 8 Gb of ram, and a decent amount of storage. If you can also afford a laptop with a solid state drive, then go for it. SSDs will make your laptop more responsive than a mechanical hard drive. These requirements do not apply to everyone however, and you should always consider your own specific needs: if you are an arts teacher, you should pick a model with decent specs and a dedicated graphics card; if you only need a laptop for word processing and creating slideshows, then any basic model will do. You can also read our detailed article on how to choose the right laptop for your needs. Other factors you might want to check as well: let’s talk ports and connectivity here, most schools still have old projectors/monitors, and if you want to connect your laptop to those you will certainly need a VGA port. This can be quite important, since newer models don’t come with a VGA port anymore, and an HDMI to VGA adapter will cost you a few bucks. It is also recommended that you get a laptop with as much ports as you can: it will be very helpful if you need to connect other devices such as an external keyboard, a mouse, a CD drive…etc. Do you need a Mac or a PC? Will you carry your laptop to school every day? Do you need a graphics card? Will you be using your laptops mostly indoors? How much storage capacity do you need, do you have to copy/keep large files on your laptop? The Dell inspiron 7000 is a 2-in-1 laptop that not only comes with a slim metal chassis and an attractive design, but also a solid performance. Under the hood you will find a 7th generation Intel Core i5-7200U, 8GB of RAM, and a fast 256GB solid state drive. This combination delivers enough power to handle multitasking, multimedia purposes, spreadsheets…etc. Dell equipped this model with a full HD touch-screen. Viewing angles are great thanks to the IPS panel, and color reproduction is pretty accurate. The screen has a glossy finish and thus is not very suitable for outdoor use. Battery life is above average, and you easily squeeze a day of use out of it without having to plug in the adapter. As for connectivity, you will find an average array f ports on the Dell 7000: 3 USB ports, one being USB type C, HDMI, Ethernet and a card reader. With Its combination of stylish design, great screen quality and high battery life, the ASUS Zenbook UX305CA is here to impress. 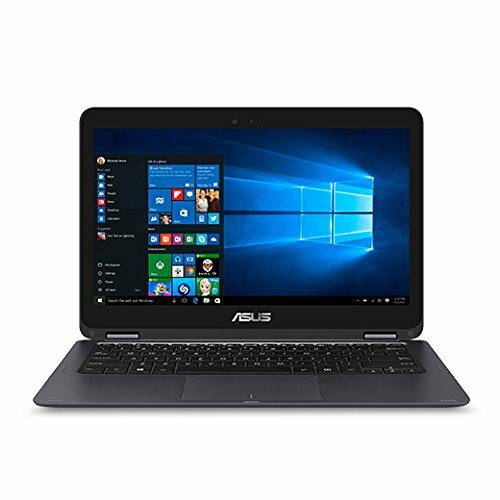 This 13,3 inch notebook is recommended if you are looking for a portable a light device, the maximum thickness is just above 1 inch and the weight is contained under 3 lbs. It packs a 6th generation Intel m3-6Y30 processor (clocked at 900 MHz with Turbo Boost Technology up to 2.20 GHz), 8GB of RAM, and a 256 solid state drive. It should be noted that this combination is not for power users, but rather for those looking for a compromise between decent performance and exceptional battery life, and the UX305CA offers exactly that, with a battery that can last up to 12 hours. The Acer Aspire E 15 E5-575G-57D4 is one of the best all purpose laptops you can get at this price range, it features a 7th Generation Intel Core i7-7200U Processor, 8GB of RAM, a fast 256GB solid state drive, and a dedicated NVIDIA GeForce 940MX graphics card. 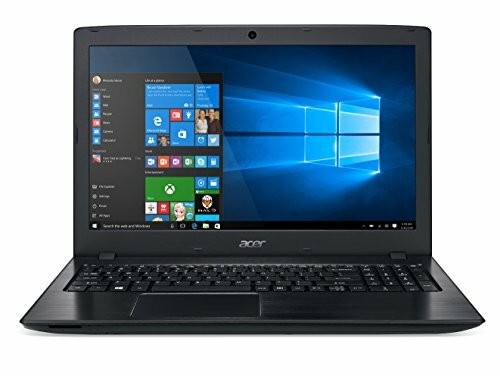 The Aspire E 15 E5-575G-57D4 is a good laptop to consider if you’re a teacher looking for a reliable new machine or a desktop replacement. When it comes to design, the chassis is a mix of brushed aluminum and plastic, and the overall design looks quite slim, even though the laptop’s dimensions are 15.02 x 10.2 x 1.19 inches. Acer also made Aspire E 15 E5-575G-57D4 future proof when it comes to ports, with 2 USB 3.0, 1 USB2.0, and 1 USB type C. Battery life is excellent, and you can get up to 12 hours of runtime from a single charge. 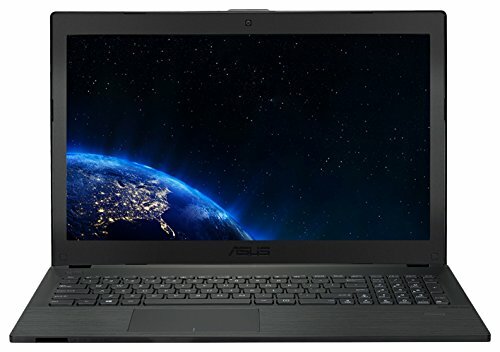 The ASUS P-Series P2540UA-AB51 is an affordable 15,6 inch business laptop that will suffice most office or home users. The design is classic, and the chassis is mainly made of plastic, yet the overall feel is still sleek and stylish. This laptop comes with a 7th Gen Intel Core i5 7200U, 8GB of RAM and a 1TB hard drive, which is more than enough to handle multitasking and office tasks. In addition to that, battery life is also amazing, and you can get up to 9h of use from a single charge. Battery is also replaceable. As for connectivity, the ASUS P-Series P2540UA-AB51 has a lot to offer: 3USB3.0 ports, 1 USB2.0 port, VGA, HDMI and a DVD+RW. 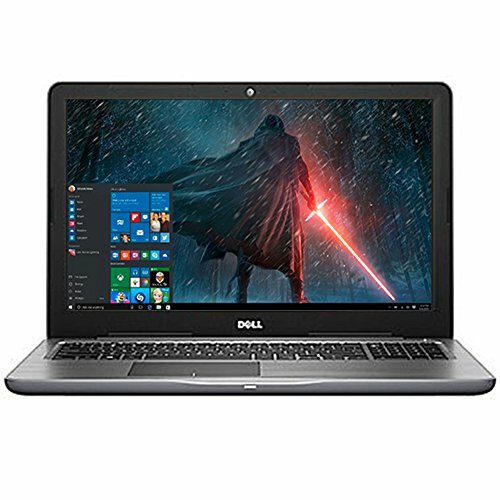 There is however no USB type C.
The Dell Inspiron 15 is primarily designed for home users, it combines a 7th generation Intel core i5 processor, with 8GB of RAM, and a 256GB solid state drive. The machine delivers a solid performance, and while it’s not designed for gaming (due to the lack of a dedicated graphics card), it does a great job with multitasking. 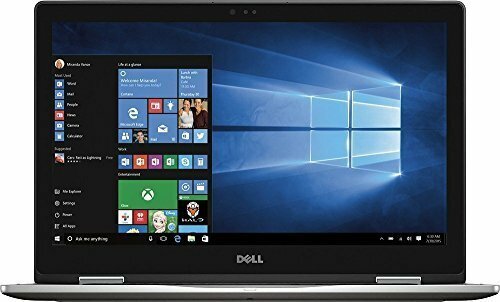 Dell kept the design rather restrained and classic, and is chassis is mainly plastic, which is to be expected at this price range. Screen offers great colors and viewing angles, and Dell’s True life technology does a good job here. However, resolution is only at 1366×768 on this particular model. Connectivity wise, the Dell 15 5000 has 1USB3.0, 2 USB2.0, HDMI, HDMI, and DVD+RW. Next articleWindows 10 Fall Creators Update: What’s new?